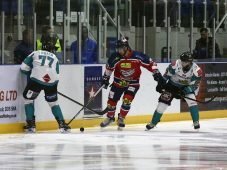 The Stena Line Belfast Giants got their Challenge Cup defence off to a winning start as they defeated the Dundee Stars 4-2 away on Saturday. 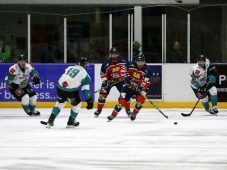 A Man of the Match performance from netminder Beskorowany plus goals from Vandermeer, Rutherford and a brace from Baun gave the Giants a deserved win in Group B on the opening night of the 2018/19 season. 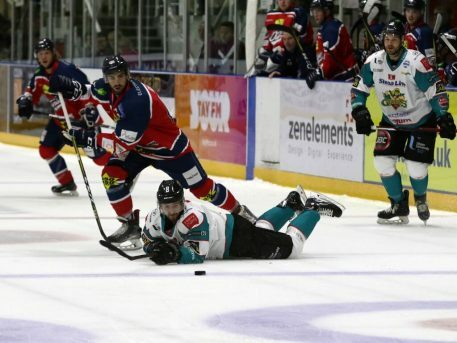 If the first period of the season in Dundee is an indicator of what is to come from the 2018/19 team then Giants fans will be excited for what is ahead. 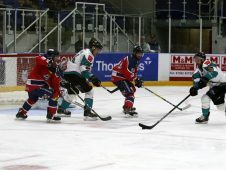 The opening 20 minutes were dominated by the Giants who took the game to their hosts right from puck drop. It was 1-0 after only 41 seconds as Paul Swindlehurst moved the puck to his defensive partner Jim Vandermeer who slid the puck into the Stars net from the blueline. David Rutherford, after going close on numerous occasions, doubled the visitors lead at 14:33 following nice work by Pat Dwyer and Curtis Leonard. Leonard turned from provider to fighter at 16:32, getting the better of Lukas Lundvald Neilsen when he dropped the gloves in the corner. 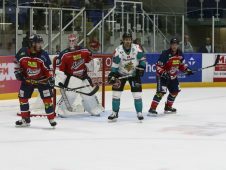 However the Stars fought back and halved the deficit at 18:43 when Fabrizio Ricci, assisted by Jordan Cownie and Charles Corcoran, pounced on the loose puck to slam into the Giants net. The Stars resurgence continued at the beginning of the middle period when Matt Marquardt hammered home from close range, assisted by Francois Bouchard, on the powerplay at 20:30. 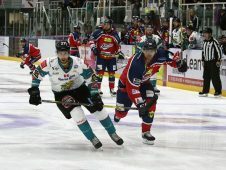 The Giants regained the lead at 35:28 when Kendall McFaull’s shot on goal was deflected high into the Stars net by Kyle Baun for his first Belfast goal. 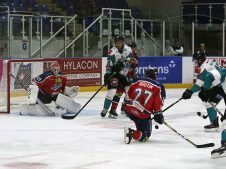 Kyle Baun finished off a sweeping Giants move at 50:41 to give the Giants a two goal cushion. Jonathan Ferland skated the puck into the Stars zone and picked out Baun well who ripped the puck top shelf for a 4-2 lead and his second of the game. 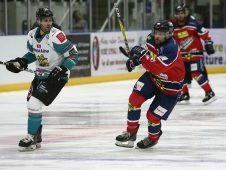 Tyler Beskorowany and the Giants defence put on a solid performance for the remaining ten minutes to comfortably see out the game and ensure an opening night win for the Belfast side. 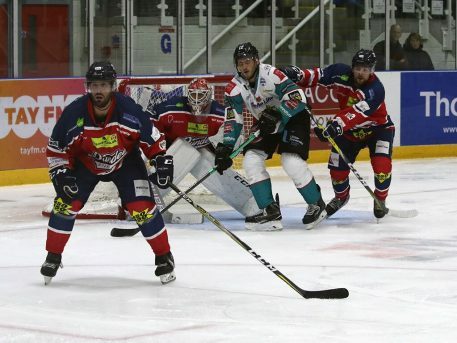 The Giants take to the ice again on Sunday for their second and final Challenge Cup Group B road game of the weekend. 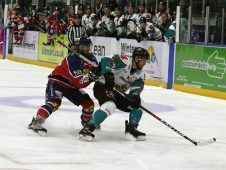 Face-Off against the Fife Flyers is 6:30pm and the game will be shown live at www.247.tv/eihl/. 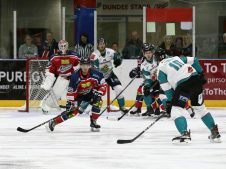 The opening home games of the 2018/19 season take place on Friday 14th September against the Dundee Stars and vs Glasgow Clan on Saturday 15th September. 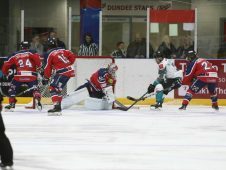 Both games face-off 7pm and tickets are now on sale atwww.ticketmaster.ie.